In 2018, WordPress decided to show homage to Johannes Gutenberg, the inventor of movable type printing. They did this by releasing Gutenberg, which is a revised way of building a website using WordPress. Immediately, people began to wonder if Gutenberg was going to be the end of free website builders. If the current reaction of web designers to Gutenberg is an indication of the future, website builders can breathe a temporary sigh of relief. That being said, Gutenberg has the potential to definitely upend the website builder industry. 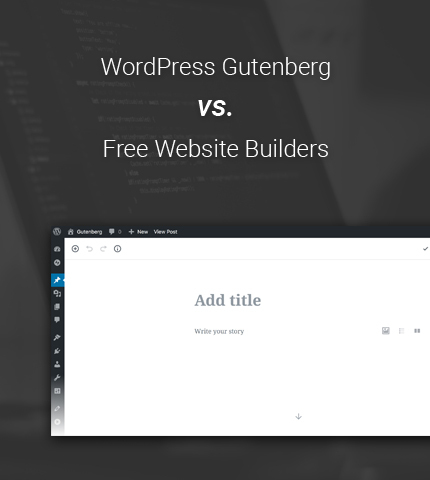 Today we’ll take a few minutes and look at what Gutenberg is and the current and potential future impact this update to WordPress could have on website builders. We’ll also compare it with currently popular website builders to see where the differences lie. A few days ago I updated one of my sites to use Gutenberg, but after 5 minutes I decided to stick with the old editor for now. In the future we’ll see 😉 . So, let’s begin with today’s article! Admin templates have come a long way and they are still constantly being developed and improved day by day. Nowadays you can easily find the exact admin template you are looking for and it is even easier to implement it into your website. In a matter of hours, depending on the type of project, you can have a running website that the admin template helps you manage and run without much fuss. 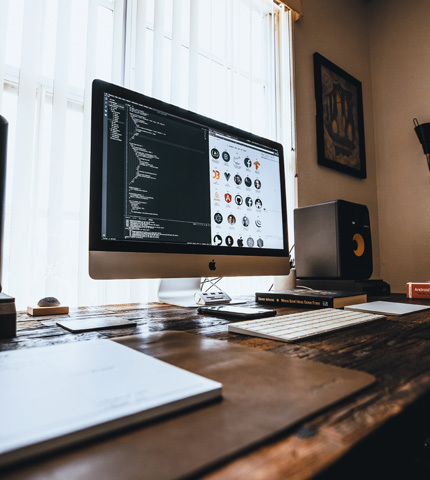 There are different types of admin templates available and in some of our past selections we have looked at Angular, React and Ruby Admin templates. 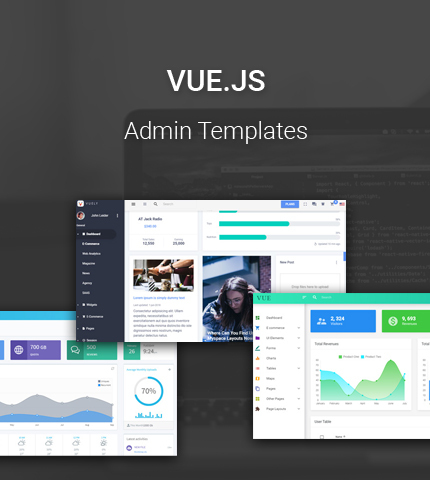 Today we will be looking at some Vue.js admin templates. 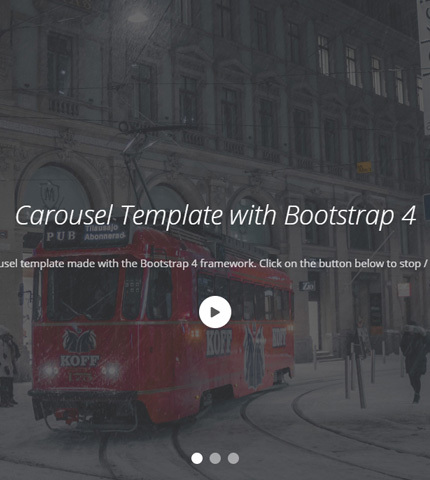 The Bootstrap carousels we have seen in the last articles and tutorials, had all a “slide effect” when moving from one slide to the next. But what if we want a different type of transition, like for example a “fade transition”? Can we do it? The answer is “Yes”, and it can be done very easily. We’ll see it in today’s tutorial. Let’s begin! 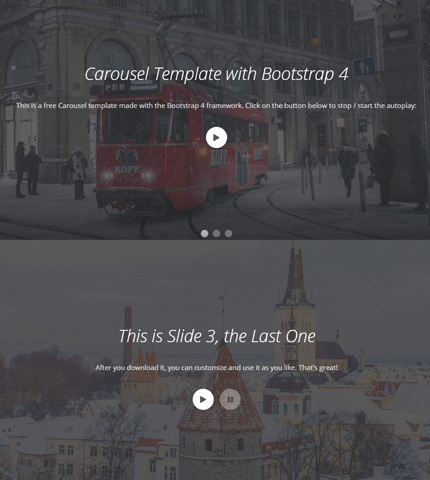 Here on Azmind we mainly use Bootstrap and WordPress to create websites for our own projects or for our clients. We may also use other platforms or CMS-s from time to time, like Joomla, Drupal, etc. 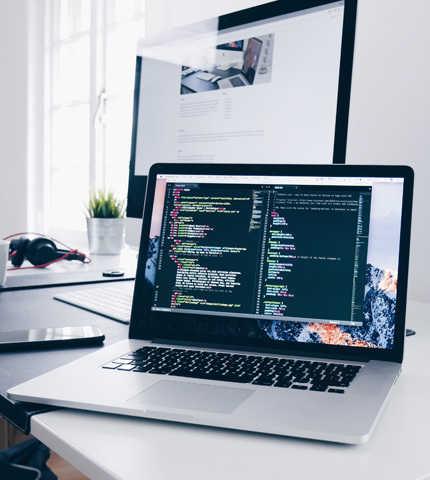 Being developers, we already know a thing or two about web designing, and if we don’t already know a certain technology, we can learn it in a matter of days and respond quickly to our clients requests. But what about someone who is a beginner? You know, a person that is not a developer and needs a website set up as soon as possible? Have you ever thought about it? How can they have the website ready for when it’s necessary? Especially when they cannot afford to hire a professional developer or would rather set up the website themselves? 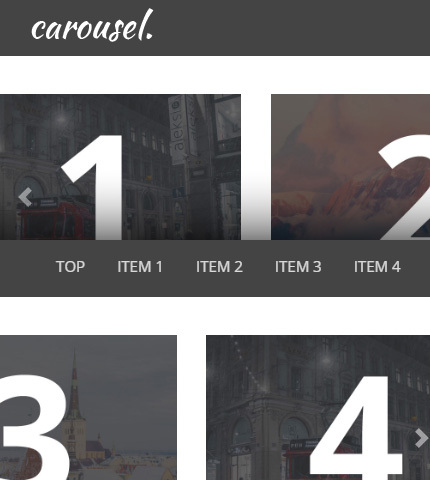 Well, to respond to these questions and needs today in this article we’ll take a look at 5 platforms and website builders which are very easy to use and even a beginner can create a beautiful website using them, with just a few clicks or drag & drops. Some of what I’ve chosen are for creating blogs and others for business websites; surely there is something for everyone. Let’s see!